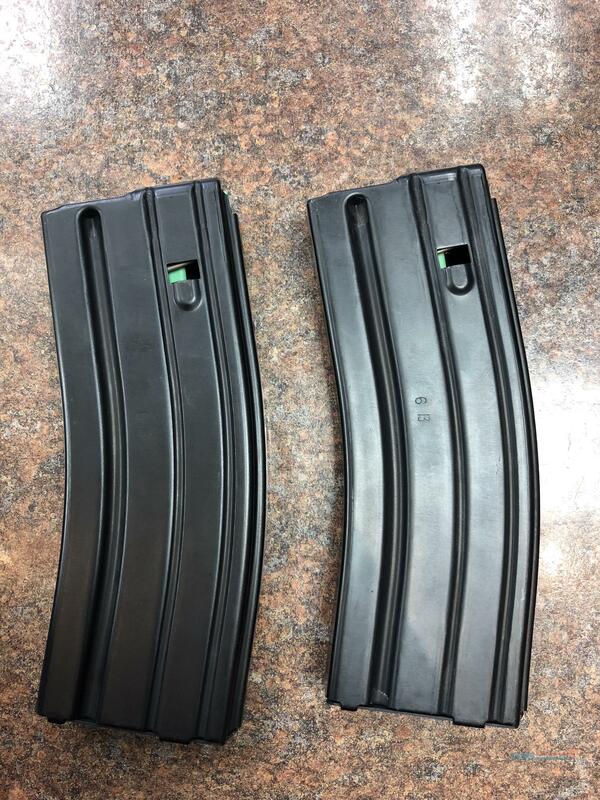 Description: Brand new D & H AR-15 30 round magazines. They sent them with a California Compliant gun on accident and we had to switch the out, so, they don't come with packaging or anything. They are new and haven't been used, but, one of them has a scratch on the back of it. that is why it is marked as USED,NEW. Other than that they are good to go. They are owned by Bucksport Sporting Goods an outdoor sporting goods store in Eureka, California, since 1948.